I love selling professional grade products. Real professional products have better longevity as they are expected to work in adverse conditions. Unfortunately, most commercial products, especially refrigerators, do not meet residential energy standards...until now. The True Professional Series is a division of the True manufacturing company. The True Manufacturing Company was founded in 1945 in O’Fallon, MO. The True manufacturing company is widely known for producing commercial refrigeration. 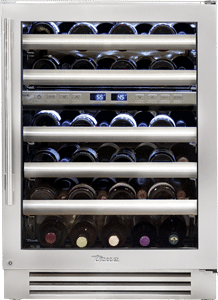 True Refrigeration products offer optimal flexibility with adjustable shelving system to convert a wine unit to a beverage center or additional refrigerator. Since these units are built to hold a wide variety of products, they have a broad temperature range from 33 to 65F degrees to keep all beverages at their optimal temperature. 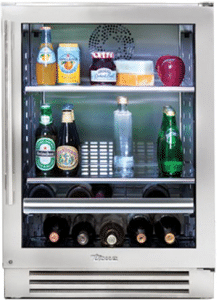 True Refrigeration also has a luxurious appearance with a stainless interior and exterior, white, amber, or blue LED lighting for gentle illumination, UV tinted glass to prevent sunlight from damaging beverages, digital temperature control to ensure temperature accuracy, a door lock to ensure child safety, and UL rating for outdoor use. 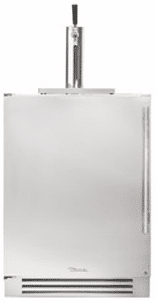 They are produced in 24’’ and 15’’ sizes with a glass, panel overlay or stainless door and are designed to fit flush in a 24’’ deep cabinet to create a sophisticated streamlined look. The warranty is 3 years full and 6 years on the sealed system. 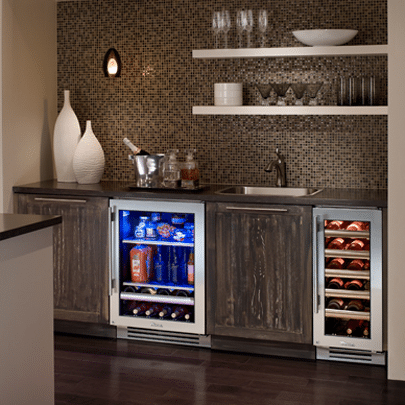 The True Professional Series consists of wine storage, beverage centers, all refrigerator units, refrigerator drawers, and beverage dispensers. As I said before, we love professional products for fit, finish and reliability. Commercial store owners and restauranteurs expect working products, so the quality tends to be better. Their warranty is also excellent at 3 years with 6 years on the sealed system. Some other advantages include flexibility between wine and refrigeration in the same unit as well as flush appearance. I really like the lock feature as well. True is also UL rated for outdoor use and is the only line offering as many models for the outside. That alone speaks to product durability, if you can be placed outside in the elements. 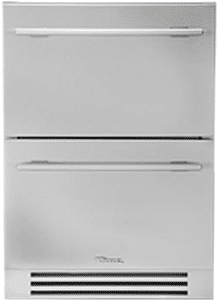 Lastly all True models have finished sides for built in or freestanding applications, and every True refrigerator is Made In The USA. We are really excited to sell this line. Download the Yale Refrigerator Buyers Guide with specs, features and inside buying tips to every brand of refrigerator. Over 100,000 people have read a Yale Guide.